I started training with Rob when I’d just gone through a break up – I was 9st of skin and bones and built like a 12-year-old girl. 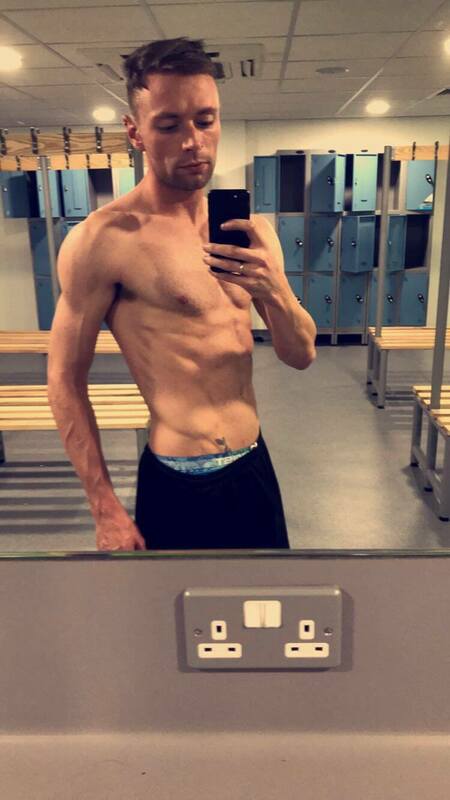 A malnourished 12-year-old girl… He took me under his wing at the gym, he spent a long time understanding my goals, my lifestyle, my history, my personality, and everything else important in my life. Within a few sessions, Rob wasn’t just my PT, he was my friend and he understood exactly what I wanted. With his fitness know-how, he knew EXACTLY how to get me there. He made me feel comfortable in the weights area (on my first few sessions I wouldn’t go anywhere near the “beefcake section” without him almost holding my hand! He trained me on every machine in the gym to make sure my form was perfect and he explained not only every single exercise he assigned to me in detail, but what muscle group they worked out and other alternative exercises I could do if all the machines/benches at the gym were busy. Fast forward six months and every goal I’d set myself, Rob had helped me smash – I’d gained 3st, I had developed muscle in all the places I wanted to, I could still eat everything that I wanted to in moderation (and Rob continued to nag me to eat better, despite me having an eight-pack, glutes you could bounce a penny off and a body fat percentage under 10) and I had the confidence to prance into the weights section and even interrupt other people mid-workout to see if I could do a quick set on their bench while they had rested. I now go into the gym knowing exactly what I’m doing, I’m able to assist other people if they look like they’re struggling and it’s all down to Rob expert tutelage. I don’t use the term “expert” lightly – his memory is almost eidetic. . He motivated me when I couldn’t be bothered to leave the house and knew exactly what to say to me when I was struggling with a set to get me to push myself to my limits. Rob’s been everything I could’ve hoped for in a Personal Trainer – he was inspirational, informative, empathetic, motivational and flexible. If you’re looking to transform your body, completely change your attitude towards the gym and live a healthier, more conscious lifestyle, Rob’s the guy for you. You’ll also make a friend for life.